The western coastline of Cape Cod was busy with shipping throughout the 19th century as shipbuilding centers and factories were built along the shore. As early as the 1830’s ship captains called for a navigational aid to be built on Wings Neck, a peninsula jutting into Buzzards Bay to mark the entrance into the bustling harbors of Sandwich and Wareham. Congress appropriated $5,000 for the project in 1837; however debate over the necessity of the light led to a redeposit of the funds back into the Treasury. 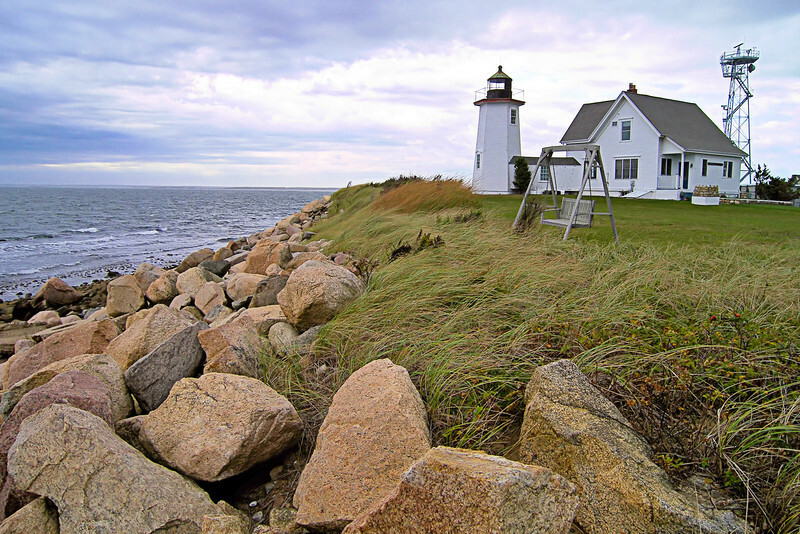 Agitation for a lighthouse continued until 1848 when Congress voted $3,500 towards the project. 9½ acres of land were purchased on the Wings Neck peninsula in Pocasset in March 1849 for $250. A building contract for the lighthouse was signed in May.